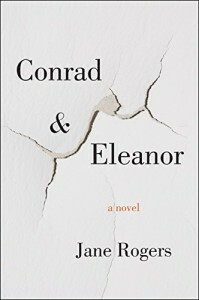 Award-winning author Jane Rogers’s latest novel is a gripping account of a marriage based on role-reversal. 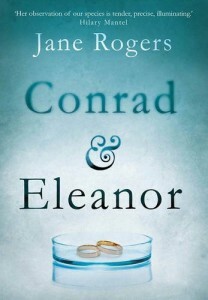 Meeting as Cambridge undergraduates in the 1970s, Conrad and Eleanor embark on a life together. They discuss it beforehand, but the odd way in which they make the decision has long-term consequences. 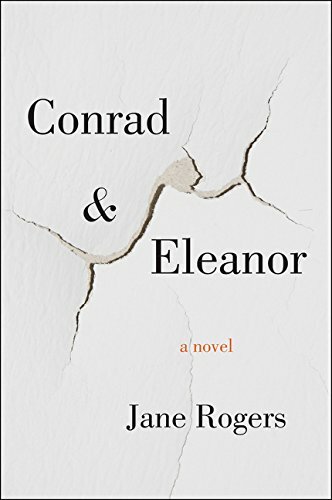 Conrad pushes Eleanor into marriage and motherhood, just as Eleanor will later push Conrad into work that goes against the grain, and this sets up a whole string of assumptions and reactions. The main storyline begins in Manchester in the early 2000s. Between them, Con and El Evanson have four grown-up children, two scientific careers, one current affair (hers, and not the first). What none of the rest of them knows is that Con is contending with a serious dilemma all of his own. Away at a conference in Munich, Con finally cracks. He needs to run. ‘He imagines leaving the hotel, dragging his wheelie case, crossing the road to the tram stop… He sees himself vanishing down the line, diminishing to a dot. He sees himself gone… If he disappears, how will it affect the children?…What will happen at work? If he disappears, who will take the car for its MOT next Tuesday, who will be there to let the plumber in? Who will know where he has put the key to the shed?’ But he does disappear. He takes the train to Rome, his mind going round and round in circles, then leaps off the train without his luggage, at Bologna. No one knows where Conrad is. Eleanor is up to her ears in work, with lectures to give, PhD students to supervise. People depend on her. And she and the children depend on Conrad. One son can’t work, one daughter has a pig of a boyfriend. They need help. Everything is so much more manageable when Con is around. They function as a team: he likes the protection of routine (doesn’t he?) and being depended upon. She likes the protection of energy and movement, things to do, places to be. Now she can’t do anything. 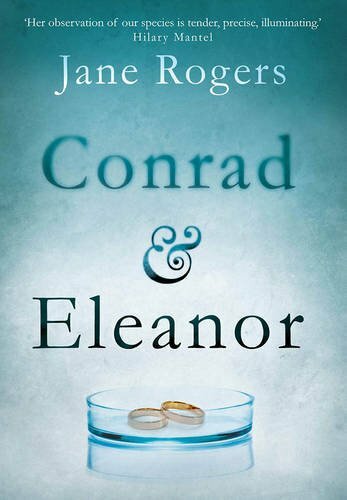 At her nadir (and this is really pitiful for the reader), she looks in the freezer and finds none of the careful laying-in of food by Conrad that she so takes for granted. Throughout this fast-paced, thriller-like narrative, dialogue both external and internal crackles with authenticity. The honesty on both sides is completely disarming. And the issues they tackle – questions on the one hand of parental responsibility, of gender equality, of commitment versus lust, of truth and lies, and, on the other, of ethical science – give the story terrific momentum. There is also real pain and suffering, in the past but also, inescapably, in the present. The resolution leaves all these things ticking, including the questions raised in the reader’s mind.